If you were to think of Square Enix’s classic JRPG franchises, you’re likely going to think of Dragon Quest and Final Fantasy. If you cast your thoughts beyond the JRPG genre, you're probably going to think of the likes of Tomb Raider and Deus Ex, courtesy of its acquisition of Eidos. What you’re probably not going to think of, at least immediately, is Star Ocean. It's a series that has been around for a long time, but as with the Mana or Ogre Battle/ Tactics Ogre franchises, it's firmly on the company's B-list despite being around for so long. 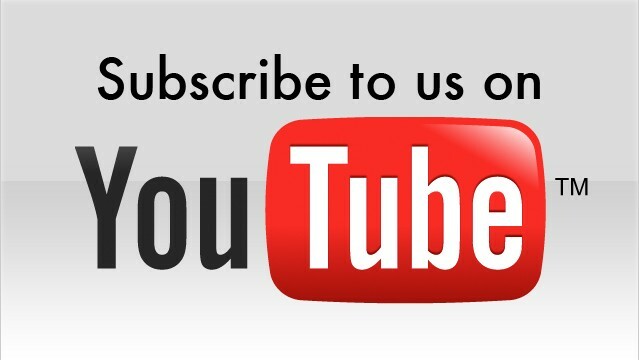 But, as a B-list franchise for the publisher, it’s a heck of one to have. We haven’t seen a new Star Ocean game in some seven years, with the last one being a relatively early release on the PlayStation 3. Perhaps because of this, when Square Enix gave the public their first playable build of the game at last year's TGS, the crowds lining up for it were mammoth. Aside from the evergreen popularity of Monster Hunter, and the interest in the new VR toys, the lineups for Star Ocean 5 (Star Ocean: Integrity and Faithlessness) were by far the longest that we saw at the show. Square Enix sees a lot of potential to grow the franchise and to help it find new audiences. 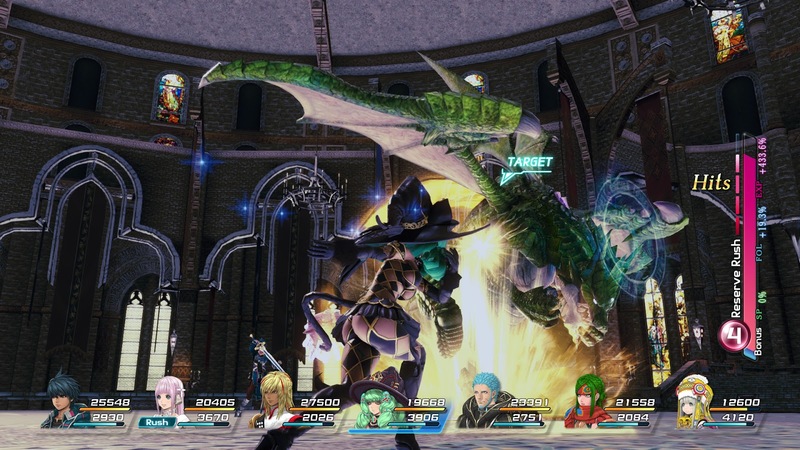 The game’s producer, Shuichi Kobayashi, explicitly said that the goal of this one was to “reset” the franchise and have Star Ocean 5 kick off as a whole new path for the series. 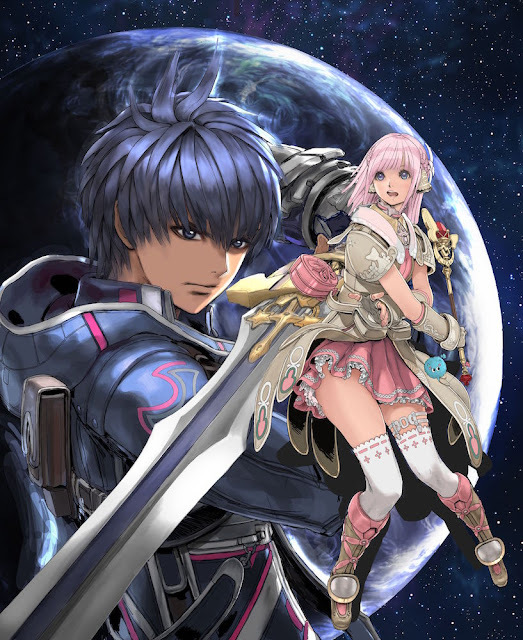 Those noble intentions aside, on a thematic level this approach has proven to be an interesting challenge to Kobayashi and his team, as what makes Star Ocean great – and so popular with its fans – is not necessarily compatible with what the development team needed to do to appeal to new players. Anyone who has played a Star Ocean game in the past, particularly the previous two iterations, will be keenly aware that the most immediately evident thing about them is the raw content that they offer. Back when DVD technology allowed developers to fit games of the size and scope of Final Fantasy X comfortably on one disc on the PlayStation 2, we all thought that this spelled the end of multiple-disc game experiences. Final Fantasy VII, VIII and IX, were all spaced across multiple discs simply to fit the game in, but surely, we all thought, this no longer needed happen. We now had the storage solution that were able to meet the sheer capacity that interactive media could chew up. Then Star Ocean 3 came along and it was spaced across two DVD discs. Before you would even start playing, it was almost an intimidating experience to know that you’re going to be playing a game that was too big to fit on the same disc technology that was big enough to house Final Fantasy X in its entirety. Of course once you started playing that intimidation factor faded away and you would simply get lost on the massive, sprawling science fiction adventure. At the time there were no other JRPGs out there that could take you to multiple different planets that were each, individually, interesting and large enough that they could have been a full game in themselves. That’s what Star Ocean fans want: massive, sprawling adventures. But Kobayashi and his team were concerned that their mandate to find new players could not be met if they created something that was perceived to be of a similar scale. Kobayashi and his team also looked at ways they could trim the unnecessary fat away from the Star Ocean games, without compromising the breadth and depth of gameplay. This lead them to the non-interactive cut scenes that so bogged down the experience of Star Ocean 4. That game has ten hours of non-interactive cut scenes, which certainly adds time to the play clock, but isn’t necessarily the most engaging approach to story telling, Kobayashi argued. The new game has just one hour of cut scenes. The other quality that has made Star Ocean such a compelling franchise, especially over the last two games, has been the way it has moulded the traditional JRPG fantasy with science fiction elements. 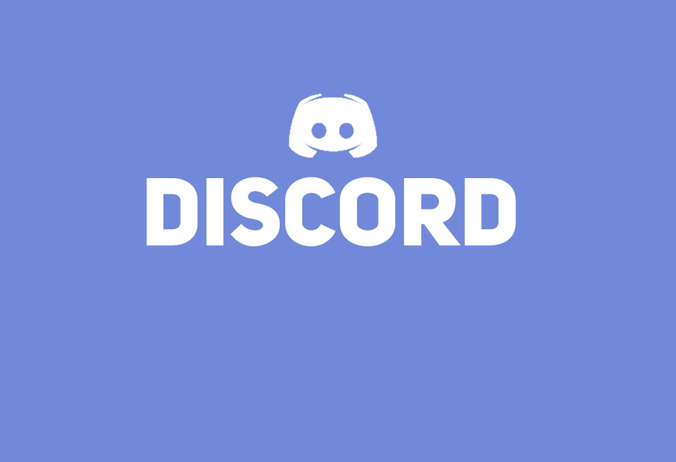 You’ll planet hop and gain access to some incredible technology, and yet at the same time you’ll be running around traditional dungeons and fighting using a combat system that vaguely resembles the classical, flowing action of a Tales game. You’ll come across villages and cities that don’t have much by way of technology at all, too. Where a proper science fiction JRPG, like Xenoblade Chronicles X, often pits you at odds with the natural world, the Star Ocean games much of the run time is spent in worlds where that technology wall between humanity and nature has not yet been built. This has provided Kobayashi and his team with a handy solution in reaching out to new players; low tech fantasy worlds are far less inclined to be filled with jargon and terminology, and are therefore less likely to be intimidating for new players. “On a thematic level I wanted a game that would be heavily based on the fantasy side of Star Ocean; at least in the early stages,” Kobayashi said. “I wanted to focus on one of the big themes that have come through the Star Ocean series: that of underdeveloped planets and the impact that modern technology has when coming into contact with that. We felt that was an interesting topic and a good one to focus on, as it helped to develop the ‘discovery of the exotic unknown’ theme that people like to see in their JRPGs. 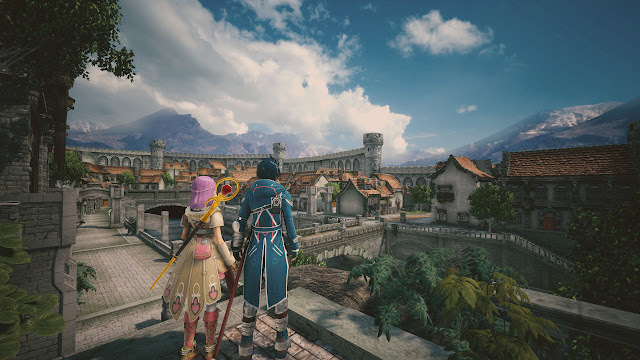 “On a more practical level, too, because it has been seven years since the last Star Ocean, we expect a lot of players will come in to the game having not played it before. Rather than overwhelm them with all the concepts and terminology of Star Ocean right away, we wanted to start things out in an environment where we can slowly develop the ideas over time. “So at first the balance of the Star Ocean 5 narrative is heavily skewed towards the traditional fantasy side of things, but in the second half we do start to introduce and develop the science fiction elements,” Kobayashi added. Star Ocean 5 hasn’t been immune to controversy (what blockbuster game is these days?). When players discovered that some changes had been made to the costume of one of the characters – specifically, her underwear – there was a predictable blow up within certain communities online, insisting that this was censorship. Oddly enough the blowup also happened in Japan, because the costume was edited for all regions, and some Japanese fans were convinced that this was Square Enix caving to the puritanism of the west to the detriment of the game. 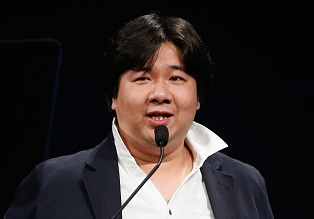 On a more broad level, however, Kobayashi said that he does believe that games should not have content edited by region. Star Ocean 5 was built with a global release in mind, and Kobayashi and his team wanted to make sure the game wouldn’t need to be edited to avoid causing deep offence to players in any region. Star Ocean 5 releases on June 28 in North America and July 1 in Europe. It was released in Japan on March 31, and was well received by critics, scoring a 34/40 in Famitsu. 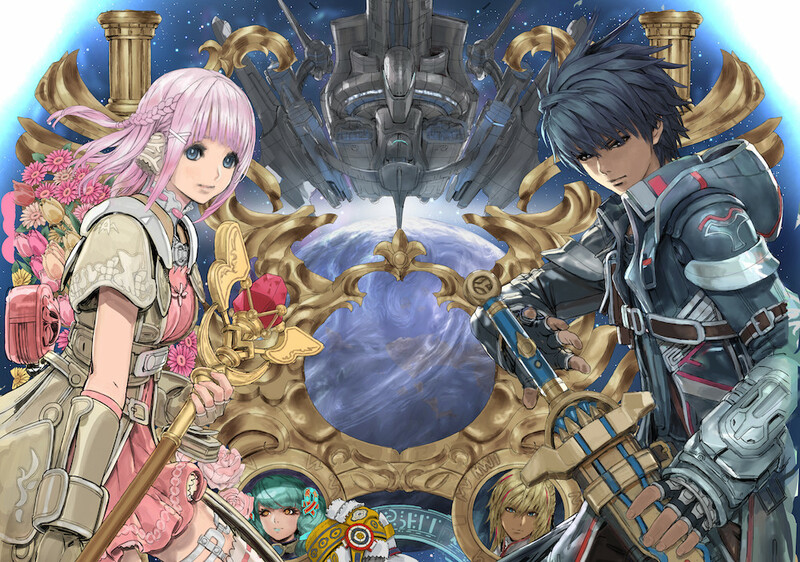 Item Reviewed: On the rebirth of the Star Ocean franchise 9 out of 10 based on 10 ratings. 9 user reviews.